As thoughts turn towards booking Summer 2015 holidays, we still have some limited availability left for this Summer with amazing deals for other seasons. As it’s now 2015, we’re pleased to announce that reservations for 2016 are NOW OPEN! You can reserve your holiday for FREE for 2016, ensuring you get the date(s) you want. Simply contact us at our website http://www.struthancottages.co.uk and let us know which weeks you want to reserve. First come, first served. We wont chase any booking deposit until 12 months before your holiday and the balance is not payable until just 4 weeks before you depart!! 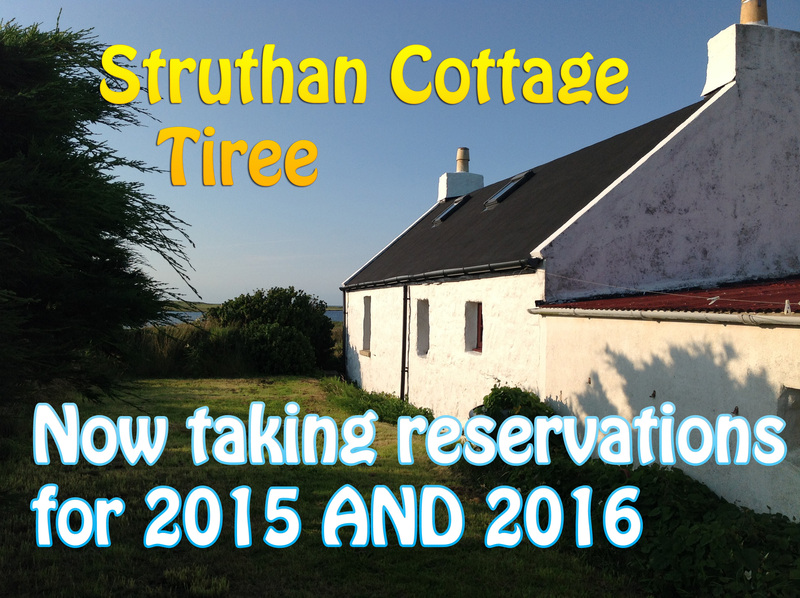 Ensure YOU get the Tiree holiday dates YOU want, by reserving with us now. Give us a call.